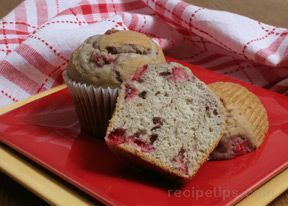 An easy to make muffin that has fresh strawberries and a hint of fresh lemon juice that brightens the flavors. 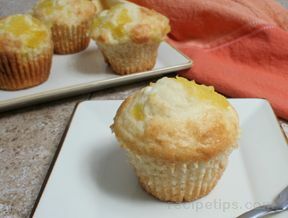 It has a dense crumb and makes a great breakfast muffin. In a small bowl, combine the strawberries with 1/2 cup of sugar. Set this aside for an hour or so or until the strawberries make a juice. Drain the juice from the strawberries, reserving it for the recipe. Preheat the oven to 425Â°F. 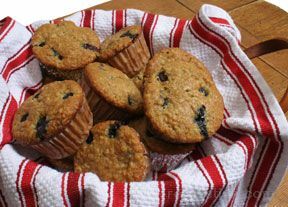 Place muffin cups into the muffin tin. Cream together the butter and 1/4 cup of sugar until light and fluffy. Beat in eggs, one at a time, stirring to incorporate each one. Stir in vanilla and fresh lemon juice. 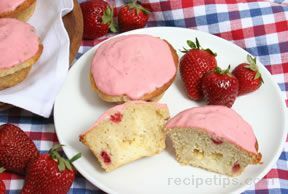 Add the dry ingredients into the mixture alternating it with the juice from the strawberries until all is incoporated. Bake for 15-18 minutes or until the tops spring back slightly when lightly touched.